Over the past few weeks, I've expressed my deep love for many fictional characters worthy of the title "gentleman." 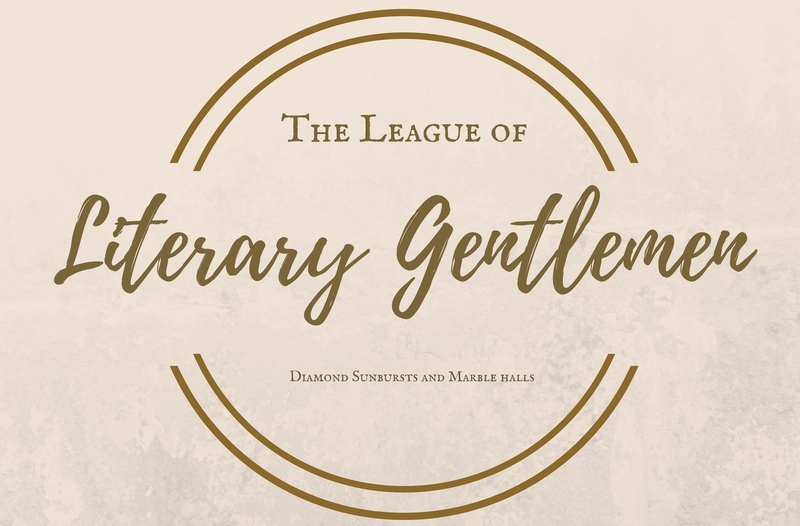 However, there is one literary gentleman that always melts my heart and makes me believe love doesn't have to include "diamond sunbursts and marble halls." Instead, he makes me feel that real love comes from someone who is familiar, someone who is a friend. For as long as I can remember, much like Almanzo Wilder, I've been "in love" with Gilbert Blythe from the Anne of Green Gables books and movies. Gilbert Blythe far surpasses most male literary characters because his small, everyday acts. From some perspectives, Gilbert's love for Anne may come across boring or ordinary, but it's this kind of love, more than anything else, that makes me believe it's real. And like any fan of Anne Shirley, I will never settle for anything less than a Gilbert Blythe. "I don't want sunbursts and marble halls. I just want you. You see I'm quite as shameless as Phil about it. Sunbursts and marble halls may be all very well, but there is more 'scope for imagination' without them. And as for the waiting, that doesn't matter. We'll just be happy, waiting and working for each other--and dreaming. Oh, dreams will be very sweet now." -Anne to Gilbert, Anne of the Island 229. Throughout Anne and Gilbert's long history, Gilbert has been consistent in many ways. The most obvious is that he is clever. When they start school together, he's behind two grades due to helping his father, but he doesn't let that become an excuse to do poorly. Instead, he aims for being the top of the class...when Anne doesn't beat him: "She flung herself into her studies heart and soul, determined not to be outdone in any class by Gilbert Blythe" (Anne of Green Gables 155). This "open rivalry" between them spurns Anne on to the best of her ability. Whether that was Gilbert's intention or not, it does work in favor for both of them: "The rivalry had been one-sided, but there was no longer any doubt that Gilbert was as determined to be first in class as Anne was" (Green Gables 279). They both do their best in school to beat each other out, which leads them to winning scholarships and other prizes over the years (Green Gables 328). "'Anne, you've passed,' she cried, 'passed the very first--you and Gilbert both--you're ties--but your name is first.'" -Diana, Anne of Green Gables 298. When they go to college, it's Gilbert's cleverness that also helps the Freshmen win against the Sophomores (Anne of the Island 40-41). This earns Gilbert's spot as the president of the class and later as captain of the football team (Island 41, 48). This rivalry also challenges Anne to be better beyond just academics. When she gives a recitation in front of others, it's Gilbert's presence that drives her to continue and not fail. She would be mortified to fail in front of him: "She saw Gilbert Blythe away at the back of the room, bending forward with a smile on his face--a smile which seemed to Anne at once triumphant and taunting" (Green Gables 309). Gilbert's cleverness challenges Anne to be a better person. It sets the base of their relationship, which allows them to grow together later when they get married and they have disagreements and must work together through their differences (Anne's House of Dreams). In everything Gilbert does, he is supportive of Anne. When Anne gives her recitation, she believes his smile is meant as a taunt, but really, Gilbert was "merely smiling with appreciation of the whole affair in general" (Green Gables 309). It's not a secret that Gilbert cares very much for Anne and has cared for her from the beginning. Many times he shows up at Green Gables to check in on Anne, whether there's been a terrible storm or just to take her for a much-needed walk (Anne of Avonlea 49, 192-93; Anne of the Island 127). He comes by to congratulate her on winning a writing contest, and his words are what comforts her about the whole ordeal (Island 112-113). Anne, of course, notices this as well. When she refuses to forgive him for calling her carrots, she still has a longing to be friends with him: "It would be very pleasant to have such a friend as Gilbert to jest and chatter with and exchange ideas about books and studies and ambitions" (Green Gables 322). So when she finally does get over herself and forgive him, that's exactly what they do. They discuss their dreams and plans for college and beyond (Avonlea 51). When she tells him she wishes to add beauty to life, he tells her "I think you're fulfilling that ambition every day" (Avonlea 51). Gilbert supports her in everything she aims for. 'Red,' said Anne, with gloomy satisfaction. One of the reasons Gilbert is so supportive is that he has a big heart. A lot of his smaller actions are driven by this characteristic. He cares a lot for the well-being of other people, which is why he decides early on that he wants to be a doctor. "Gilbert had finally made up his mind that he was going to be a doctor.[...] 'I want to fight disease and pain and ignorance...which are all members one of another. I want to do my share of honest, real work in the world'" -Anne of Avonlea 51. This kind of dream takes a lot of hard work, and Gilbert doesn't shy away from it. He works toward it with everything in him, even working so hard he becomes ill himself. But he doesn't give in. He works hard to be the best in college, and every summer he works hard to make money to keep going with his dream (Island 216; Windy Poplars 190). "As I drove home this morning, while the sun was rising over the harbor, I thanked God that I had chosen the profession I did. I had fought a good fight and won--think of it, Anne, won, against the Great Destroyer. It's what I dreamed of doing long ago when we talked together of what we wanted to do in life" -Gilbert, Anne's House of Dreams 47. His heart also filters into other aspects of his life, including his relationship with others. He's known as being loyal and truthful (House of Dreams 15). Although he's known as a friendly person, he would never put his intentions where they didn't belong (Island 225). When Ruby Gillis writes to him, he only writes back out of courtesy (Island 43). He only appears by Christine Stuart's side because he promised her brother he would watch over her at college (Island 227). He has a big heart for all people. He does small things to show his care and consideration. This is part of the reason why he's so adamant for Anne to forgive him after he calls her "Carrots." He wants her to know that he truly does care for her and that he didn't mean anything by it. "'Anne,' he said hurriedly, 'look here. Can't we be good friends? I'm awfully sorry I made fun of your hair that time. I didn't mean to vex you and I only meant it for a joke. Besides, it's so long ago. I think your hair is awfully pretty now--honest, I do. Let's be friends.'" -Gilbert, Anne of Green Gables 256. So even though she refuses to forgive him, he still saves her from drowning and admires her from afar (Green Gables 255). He wishes to be her friend. He even gives her the Avonlea school so she can stay close to home and teach, despite that he will have to spend money to board to teach at another school (Green Gables 347). Later, after Anne refuses his marriage proposal, he doesn't blame her. Yes, he's deeply hurt because he believe there is no one else for him than Anne, but he doesn't whine about being friendzoned. Instead, he blames himself: "There isn't anything to forgive. There have been times when I thought you did care. I've deceived myself, that's all" (Island 138). While it's disheartening, he doesn't give up hope. He doesn't push Anne or badmouth her. He continues their friendship as best as he can and allows her time to make her own decision about him (Island 157). But he also never gives up on her and trying to win her love. "He still looked upon Anne with the incredulous eyes of a lover. He couldn't wholly believe yet that she was really his." -Anne's House of Dreams 167. For Anne, Gilbert Blythe becomes a part of home. She's glad when she learns he's in the same class at Queen's because not only can their rivalry continue, but he's a comfort in a new setting (Green Gables 316). The same happens when they go to college; Gilbert's presence nearby comforts Anne's jitters of being away from Avonlea (Island 11). But more than that, Gilbert is familiar. When she refuses his proposal. they stop seeing each other frequently, and Anne misses him and his presence (Island 147). She tries to tell herself that Roy Gardner can make up for Gilbert's absence, but she's only fooling herself. She finds Gilbert lingering in her mind (Avonlea 242). "Gilbert would never have dreamed of writing a sonnet to her eyebrows. But then, Gilbert could see a joke. She had once told Roy a funny story--and he could not see the point of it. She recalled the chummy laugh she and Gilbert had had over it, and wondered uneasily if life with a man who had no sense of humor might not be somewhat uninteresting in the long run." -Anne of the Island 167. Thus when graduation comes around, Anne chooses to wear the familiar flowers Gilbert sent her instead of Roy's flowers because they reminded her of home (Island 206). In addition, when Gilbert falls ill and is on the brink of death, Anne worries over Gilbert's absence from her life. She can't fathom life without Gilbert: "If Gilbert went away from her, without one word or sign or measure, she could not live. Nothing was of any value without him. She belonged to him and he to her" (Island 222). And most everybody else can see the familiarity between them. On more than one occasion, other voices chime in on their opinion of the couple. Rachel Lynde claims they'll be a match, and Marilla silently agrees (Island 20). Everybody who sees them together thinks they are a good couple, even if Anne can't see it (Avonlea 227; Island 173). "'I wonder why everybody seems to think I ought to marry Gilbert Blythe,' said Anne petulantly. 'Because you were made and meant for each other, Anne--that is why. You needn't toss that young head of yours. It's a fact.'" -Anne and Miss Lavender, Anne of the Island 150. So when Anne refuses Roy Gardner's proposal, she claims it's because she "wants someone who belongs in my life. He doesn't. I was swept off my feet at first by his good looks and knock of paying romantic compliments" (Island 213). She realizes that Gilbert does belong in her life; that he has always belonged, since day one. Gilbert isn't the guy who is easily forgotten; he's the guy who fits perfectly into life. He's a piece of home; he's part of the Island. "Well, thank goodness that Anne and Gilbert really are going to be married after all. It's what I've always prayed for. [...] Gilbert is poor--at least, to begin with; but then he's an Island boy." -Rachel Lynde, Anne's House of Dreams 13. More than anything, though, Gilbert is Anne's best friend. He makes good on being a friend. He's familiar with Anne, and he has a long history with her. From the beginning, he doesn't give up on her. He wants to be her friend: "'We are going to be the best of friends,' said Gilbert, jubilantly. 'We were born to be good friends, Anne. You've thwarted destiny long enough'" (Green Gables 349). This strengthens their relationship later down the road. They know each other well and can look back on the past (read: mistakes) with fondness. This also opens up the opportunity for Gilbert and Anne to recognize their true feelings and desires. Gilbert never had any doubt in his mind that Anne was the one he wanted to marry: "'There was nobody else--there never could be anybody else for me but you. I've loved you since that day you broke your slate over my head in school'" (Island 228). But Anne doesn't realize her true feelings right away. In fact, she's mortified to think of Gilbert in any other way than as a friend. She doesn't wish to lose the strong friendship they've built because of romance. 'I must. Things can't to on like this any longer. Anne, I love you. You know I do. I--I can't tell you how much. Will you promise me that someday you'll be my wife?'" -Anne and Gilbert, Anne of the Island 137. This experience gives Anne the chance to search her true feelings. She comes to the realization that she wants Gilbert, her best friend, to be the person she has in her life always and forever (Island 222). Their friendship becomes the basis for their romance, which strengthens their love and marriage. They realize that friendship cannot satisfy them; they want each other's love (Island 138). They may still have doubts of whether they can measure up, but in the end, their friendship allows them the comfort and knowledge that they "belonged to each other" (House of Dreams 26). They learn they have nothing to fear; they know each other well. They work together because of the strength of their friendship. Gilbert desires to be Anne's friend so he can get to know her, to find out what she loves and who she is. He does so because of his care and support for her; he wants her to become familiar in his life. And then, he knows he can be worthy to love her. But it all started with their friendship. "Perhaps, after all, romance did not come into one's life with pomp and blare, like a gay knight riding down; perhaps it crept to one's side like an old friend through quiet ways; perhaps it revealed itself in seeming prose, until some sudden shaft of illumination flung athwart its pages betrayed the rhythm and the music; perhaps...perhaps...love unfolded naturally out of a beautiful friendship, as a golden-hearted rose slipping from its green sheath." -Anne of Avonlea 249. Gilbert Blythe is a literary gentleman for his big heart and soft demeanor. He doesn't have to be rich or full of pomp to catch anybody's attention. He is known for his friendliness, honesty, and kindness (and maybe some teasing). His quality traits and familiar aura capture Anne's heart--and thousands of girls over the years. We don't need diamond sunbursts or marble halls; we just need a man like Gilbert Blythe to sweep us away with his Island charm and big heart. "I love you because you aren't pompous like Dr. Carter...and I love you because you haven't got sticky-out ears like Johnny. And...the every best reason of all...I love you for just being Gilbert!" -Anne in a letter to Gilbert, Anne of Windy Poplars 78. All quotes come from the Anne of Green Gables series by L.M. Montgomery: Anne of Green Gables (originally published 1908), Anne of Avonlea (originally published 1909), Anne of the Island (originally published 1915), Anne of Windy Poplars (originally published 1936), and Anne's House of Dreams (originally published 1917).